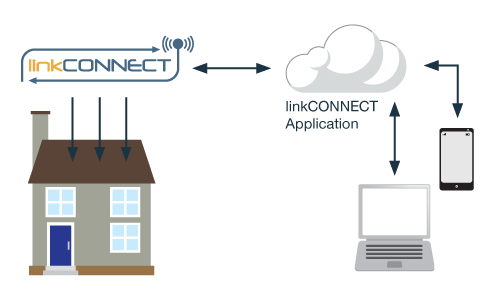 Siretta linkCONNECT – intelligent managed modem solutions are used in home automation projects to link devices at home to the home owner via a mobile application on their smart phone. The solution uses a remote link to capture information about the status of the home including monitoring lights, doors and windows as well as total energy usage. The Siretta linkCONNECT – intelligent managed modem solution enables remote access to a host of sensors around the home which can be used to report on a number of important parameters. There are a number of areas which are covered including providing a more energy efficient home or saving costs with energy usage over the year.